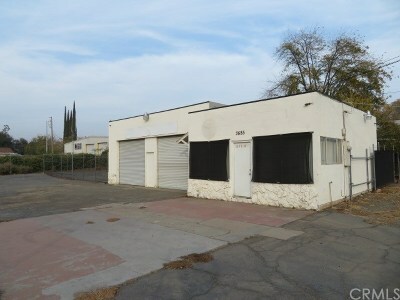 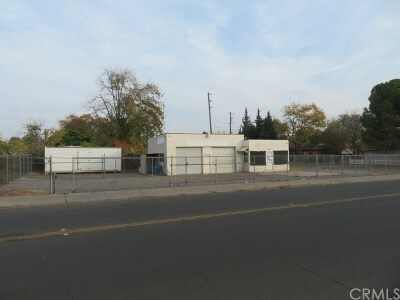 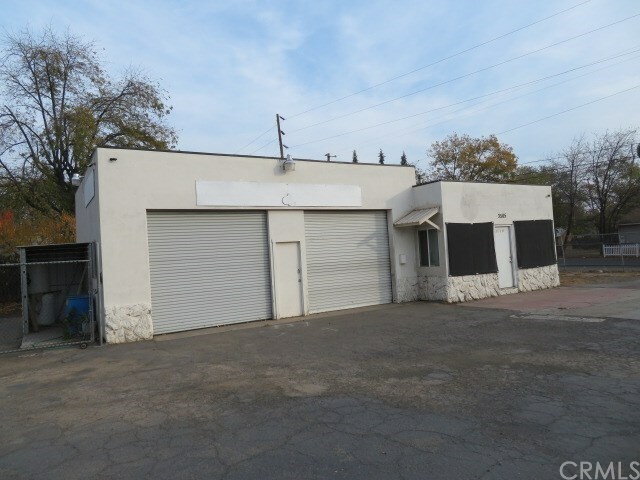 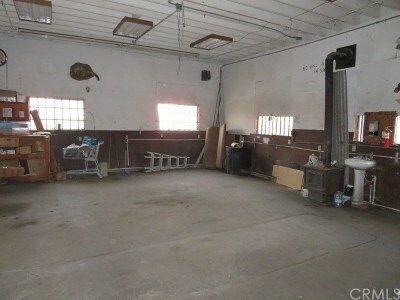 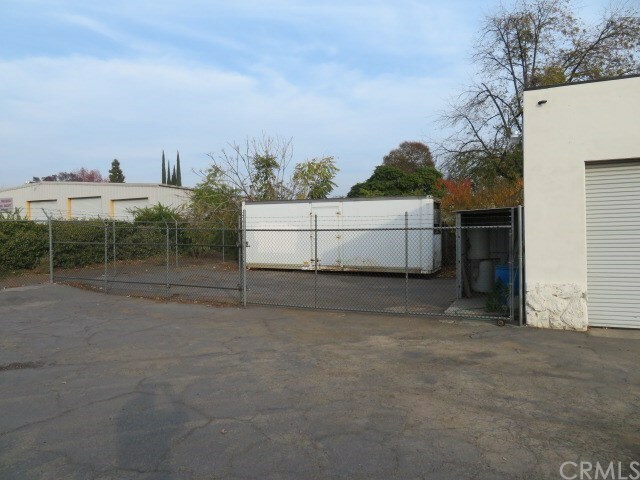 Ready to go shop/garage thats fenced for security and additional fenced off area to the side. 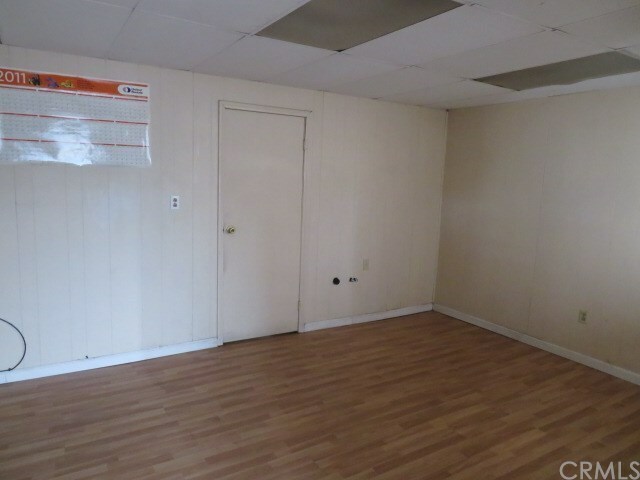 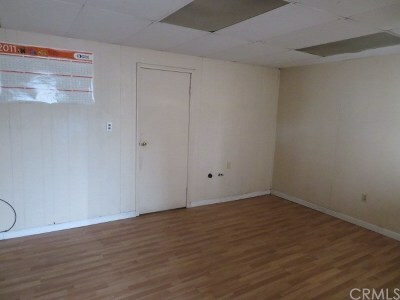 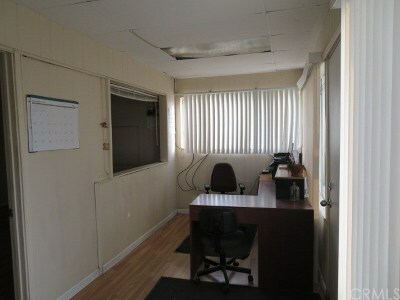 Small office space up front with a larger office space behind the front office. 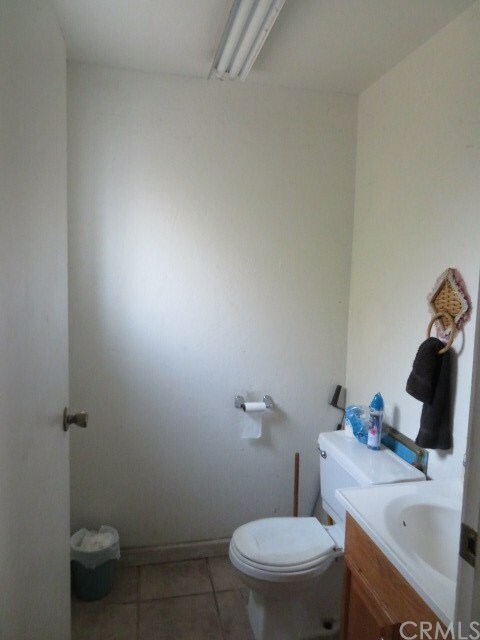 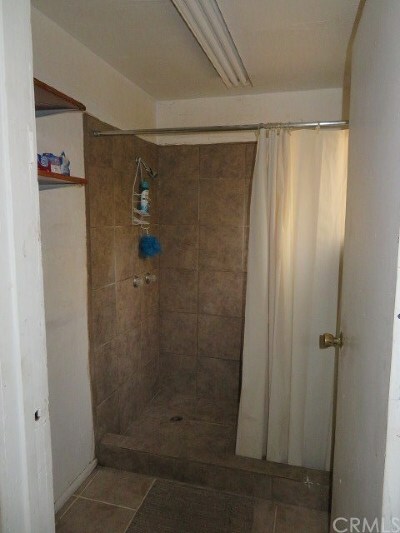 Toilet and shower in back. 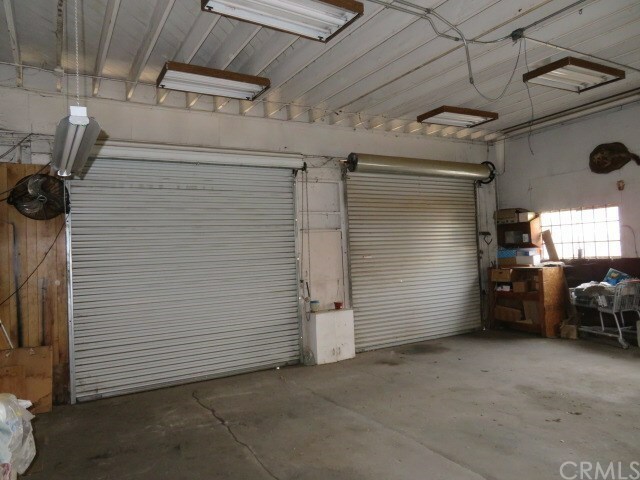 Garage area has two large roll up doors.